The markets are in turmoil. Global equity markets are sharply lower, dragging bond yields down. The risk-off move has propelled the yen sharply higher. Its 1.4% advance has seen the dollar slump to JPY118.70, its lowest level since-mid-October. The dollar is also weaker against the euro (~0.65%) and sterling (~0.25%). However, the dollar-bloc has been dealt a blow. The New Zealand dollar is off 1.6%, unwinding most of the gains seen in the second half of December. The Australian dollar is off 1.2% to around $0.7200. The Canadian dollar is faring the best of the bunch. It is 0.3% lower. While news of the strained relations between Saudi Arabia and Iran injected volatility into oil trading, the price of Brent and WTI are little changed on the day, after the early sharp advance was mostly unwound. The dramatic impulse in the markets appears to be driven more by developments in China. The Shanghai Composite fell nearly 7% and the Shenzhen Composite lost 8.25%. The circuit breakers, which include a 15 minute suspension after a 5% loss on the CSI 300, and the halted after 7% drop) were triggered. The proximate cause was the disappointing Caixin manufacturing PMI (48.2 from 48.6 in November and expectations for 48.9). The official measure had ticked up (49.7 from 49.6). The official service sector reading rose to 54.4 from 53.6 (highest since August 2014). 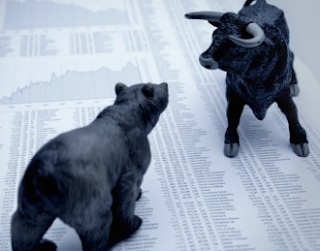 Sentiment toward equities was vulnerable in any event as the ban on sales by larger investors is scheduled to be lifted at the end of the week. Many also anticipate the lifting of the ban on new IPOs. As one might expect, onshore and offshore yuan fell sharply and the spread between the two widened. The onshore yuan fell 0.6%, while the offshore yuan lost nearly 0.9%. It is the largest single day decline since August. The yuan’s fix was lower for the fifth consecutive sessions. The large losses in China reverberated throughout the region and the MSCI Asia-Pacific Index was off more than 2%. European economic data was better, but steep equity losses are still being inflicted. The Dow Jones Stoxx 600 is off 2.6% near midday in London. All sectors are in the red, with materials and consumer discretionary off more than 3%. Consumer staples and energy are performing best with only 2% declines. The main news from the euro area was December manufacturing PMI. For the eurozone, manufacturing activity rose to a 20 –month high of 53.2 from 52.8 in November and the flash reading of 53.1. For the first time since April 2014, all eurozone members reported above the 50 boom/bust level, including Greece (50.2 from 48.1). Forward looking indicators, like new orders and new export business increased. Initially, the euro continued its pre-New Year retreat, falling to about $1.0830 in Asia before trading more than a cent higher to reach a peak just below $1.0950 in early Europe. However, the momentum has faltered in Europe and a push back toward $1.0880 in North America would not be surprising, given the intraday technical readings. Sterling followed the same general pattern as the euro, but has fared somewhat better in Europe despite the disappointing manufacturing PMI. The December reading slipped to 51.9 from a revised 52.5 level in November (initially 52.7). This is the lowest reading since September, and is the second consecutive decline. The market had anticipated a small gain to 52.8. In other reports, the UK showed a small rise in net consumer credit (November), and an increase in mortgage approvals and lending. Sterling was sold from near $1.4840 to almost $.14720 on New Year’s Eve and was briefly pushed below $1.47 in Asia today. It rebounded to almost $1.4820 in the European morning before running out of steam. Intra-day support is seen in the $1.4740-$1.4760 area. The S&P 500 is nearly 1.5% lower. The US 10-year yield is 4 bp lower near 2.22%. US data seems secondary or event tertiary to the price action. The US reports November constructions spending, which has Q4 GDP implications. The ISM manufacturing survey is expected to be below 50 for the second consecutive month, The Markit PMI is a newer series, and although it has been trending lower since the end of Q1 15, the preliminary December reading was 51.3.